There are Great Salaries and Benefits of coaching for CSA. If you have already been coaching and would like to coach again. in the 2019/2020 season please register using the link at the end of this notice. We are always looking for new coaches. Even if you think you're not quite ready to take on a team all by yourself you can start off as an assistant coach. If interested in coaching please register using the link at the end of this notice. Some of the big issues in youth sports today is the chance of children receiving concussions or being sexually abused. CSA is making sure that we are doing our best to protect your children and are also in compliance with the local & federal laws that have been introduced. On February 14, 2018, President Trump signed Act 534 into law. This new law requires all adults involved with youth sports to be trained in Sexual Abuse Awareness. US Youth Soccer, Pullen Insurance Services, and Soccer Rhode Island will be utilizing the Abuse Prevention System training to comply with this law. CSA will be requiring ALL of our coaches (including assistant coaches) and volunteers that work directly with children to take the online Sexual Abuse Awareness Training, before being allowed to coach a team or serve as a volunteer. Once you register as a coach, you name will be entered into the system. Every two weeks the system sends out a personalized link to take the online training, so we suggest that if you are planning on coaching you should register ASAP. As long as you use the link provided to you through your email address, there will not be any cost to take the training. All Coaches will also be required to take an online Video Training Course regarding Children in Sports and Concussions. Again; there is No cost to you to take this training. 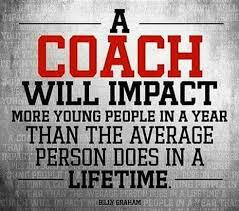 CSA has a Coaching Staff (Volunteers) that work with new coaches and we also offer Coaching Education. CSA Has implemented the NEW Coaching Play-Practice-Play Philosophy that has been developed by US Youth Soccer for Grassroots Training. It has already proven to be successful both in training the players and coaches as well as the players enjoying going to practices more than before. Remember I talked about those Great Salaries and Benefits!!! OK I sort of fibbed a little. We are all volunteers, but the benefits are seeing the smiles on your players faces when they learn something new, or the first time they score a goal. So; Don't Delay; Register to Coach Today! We look forward to seeing you coach for CSA!